ideal for safe & visible storage. 10 year guarantee. WxD 1050x350mm. 3 heights available. Free delivery! 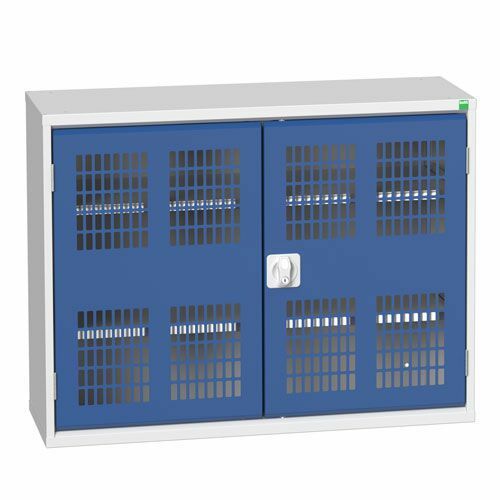 Reinforced and fully lockable ventilated doors, complete with a central 3 point locking system - offers visibility, yet also safety and security. The scuff-resistant steel shelves have a strong 60 kg capacity. Sturdy steel cabinet with 2 shelves and ventilated doors, to aid drying and visual stock checks.